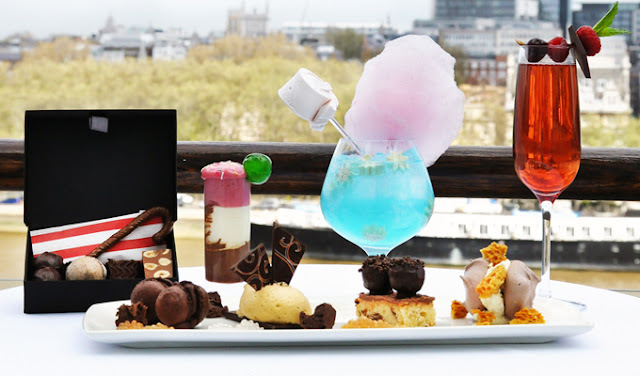 It may not be the Great Glass Elevator, but from the moment you step out of the lift on the Eighth Floor of the OXO Tower they promise an adventure for the tastebuds to rival Willy Wonka’s very own creations. The happily-ever-after ending comes in the form of a Box of ‘Children’ Truffles, which features delectable treats characteristic of the lucky Willy Wonka Golden Ticket winners – such as the Violet Beauregarde blueberry macaroon with violet ganache. Available in the OXO Tower Brasserie from Thursday 23 May, Sunday to Friday 3pm until 5pm and Saturday 2pm until 4.30pm. Performances of Charlie and the Chocolate Factory The Musical show Monday to Saturday at 7.30pm with matinee performances on Wednesday and Saturday at 2.30pm.